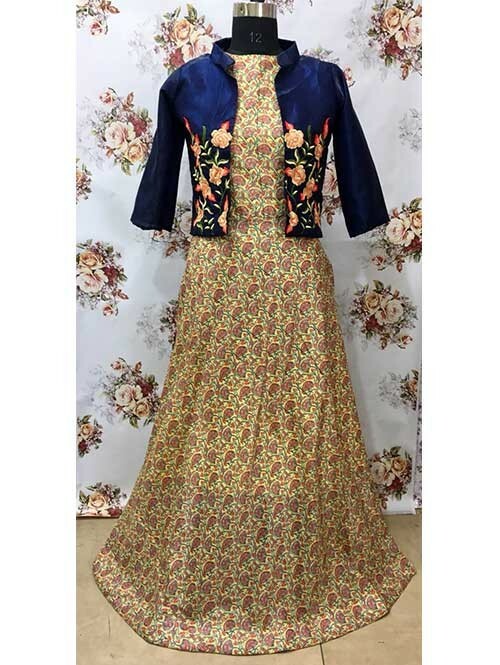 Catch Out Best Look For The Day With This Awesome Cream Colored Digital Printed Gown today. Flaunt a classy look as you swirl in this Cream Colored Chanderi Cotton with Digital Print Long stunning gown with Banglory Silk Koti that will surely give you a red carpet look. 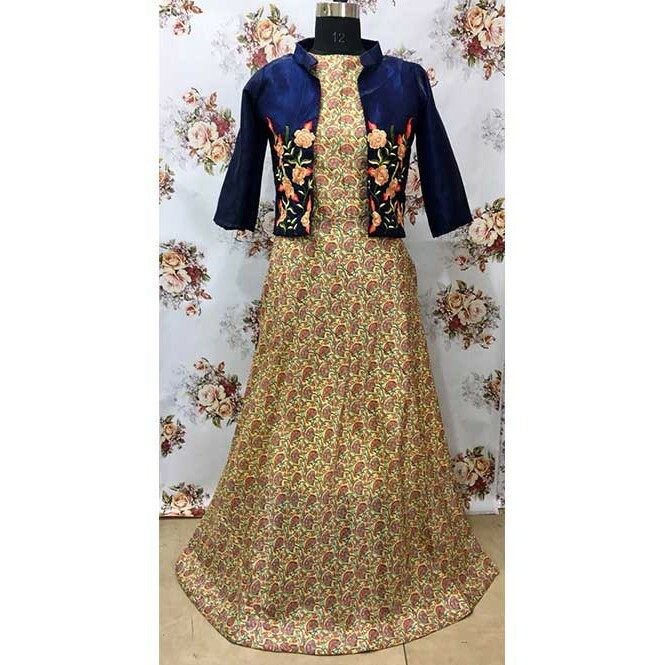 Drool over and fall in love with this stunning and fabulous beauty that features soothing colours and stunning designs and surely will add some style and oomph to your wardrobe. Gown in chanderi cotton and Micro Cotton inner.